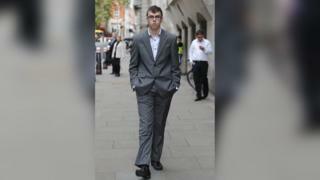 A teenager made about £360,000 by creating computer hacking software which cost universities, gaming websites and other businesses millions of pounds, a court has heard. Adam Mudd, 20, of Hertfordshire, has already admitted offences under the Computer Misuse Act. The Old Bailey heard he lives with his parents and the crimes were about "status". He is expected to be sentenced next week. The court heard Mudd created the Titanium Stresser "malware" in 2013, when he was 16 years old, and sold it to cyber criminals across the world. The programme had 112,000 registered users who were responsible for about 1.7 million "distributed denial of service" attacks on websites, including gaming sites such as RuneScape, Minecraft and Xbox Live. The court heard there were about 25,000 attacks on RuneScape and the company which owns it spent £6m trying to defend itself. Prosecutors said Mudd carried out 594 attacks himself, including one on West Herts College where he was studying computer science. He also attacked 70 other schools and colleges, including the University of Cambridge, University of Essex and University of East Anglia, as well as local councils. Mudd had been in his bedroom when he was arrested at his home in Toms Lane, Kings Langley, in March 2015 and he refused to unlock his computer until his father intervened. Jonathan Polney, prosecuting counsel, said the malware caused "incalculable" damage to organisations. "This is a young man who lived at home. This is not a lavish lifestyle case," he said. Mudd also admitted one count of concealing criminal property. Judge Michael Topolski QC said the case was of "importance and seriousness" and he would not be rushed in determining sentencing.